CCIE (Cisco Certified Internetwork Expert) is the Expert Certification of Cisco and CCIE Routing & Switching is the most common and useful CCIE Certification. 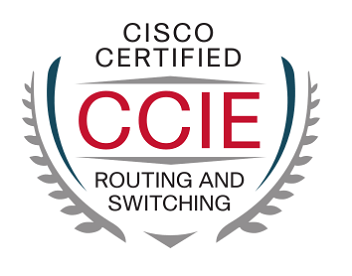 CCIE Routing & Switching is the last step of Routing & Switching Certification Path. CCIE is the most prestigious Expert Certification in Network World! In CCIE, you learn routing/switching networking concepts, network protocols and troubleshoooting activities detailly and at an Expert Level. Beside, you become an Expert on Cisco Routers and Switches Routing/Switching Configurations. Here, differentm than the other certification exams, CCIE exams divide exam questions into two category. In CCIE Written Exam, you have only theorical written questions and in CCIE Lab Exam, you have to solve network problems practically. To Pass CCIE Exams at the First Attempt and Not To Lose Time , You Can Take Our CCIE Courses! Hey Buddy!, I found this information for you: "CCIE". Here is the website link: https://ipcisco.com/course/ccie/. Thank you.